• On the one hand, have improved the quality of life and resulted in a dramatic increase in life expectancy. • While on the other hand, have revolutionized the communication processes in health care by connecting patients with their health care provider wherever they are. Hudibia is a living example of cutting-edge modern communication technology! 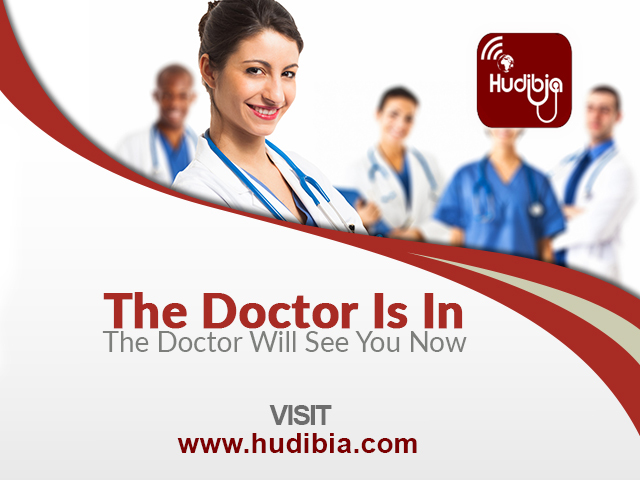 Hudibia is your health care provider in the hand. It is a free Smartphone App which provides you with access to a number of sustainable high-quality medical services and advice. Hudibia enables patients to access specialist doctors and ensures easy access, quality healthcare and better monitoring of patients’ health across the globe. Hudibia comprises of medical experts of all specialties along with a network of hospitals and pharmacists both at home and abroad. Hudibia aims at providing you optimum but cost-effective health care solutions (with the help of emerging technologies like mHealth and Tele-medicine alongside wearable technology) anywhere and anytime; whether you are living in a remote rural village or in the heart of a bustling metropolis. How can Hudibia help you? Hudibia can be your digital health assistant by providing you the direct access to information on common health care problems in English, Hausa, Igbo, and Yoruba; even with voice explanation for those who are unable to read. Hudibia consists of an ever-growing, highly qualified and fully validated team of more than three hundred doctors, specialized in various disciplines and more than ten hospitals. o You can search through the list and book appointment to consult the doctor of your choice. Such consultation can be in the doctor’s clinic or online using a real-time remote consultation platform. o Or alternatively, you can search through the hospitals and book appointments with a doctor in the hospital. Hudibia can be used to securely pay for regular medications either locally or abroad with monthly home delivery from designated pharmacies where available. o You can also securely transfer your clinical information and investigation to specialist doctors for review and seek the second opinion for an ongoing treatment. Hudibia can provide personalized home and office visits by doctors of its team along with real-time remote specialist medical support from doctor across the globe; in case a second opinion is required. The patient is evaluated via onsite telediagnostic using cutting-edge emerging medical diagnostics technologies and if required, is immediately transferred to Hudibia network of specialized hospitals both locally and internationally. Hudibia can provide health care programs for relatives based abroad. It provides a convenient and secure payment coupled with a portable electronic record system so that you can pay for the treatment your sick relatives hassle free. In order to enjoy a world class health service, all you need to do is both visit and register at http://hudibia.com/ or download app from Hudibia Google store or iPhone play store and register. It has never been easier to access quality health care service as for today and thanks to Hudibia and its team who relentlessly work to provide you optimum healthcare, anywhere and anytime. Current time: 04-20-2019, 02:13 AM Powered By MyBB 1.8.16, © 2002-2019 MyBB Group.